European Studies Hub Bringing together interactive learning tools and resources to help students and researchers better understand and engage with the European Union. 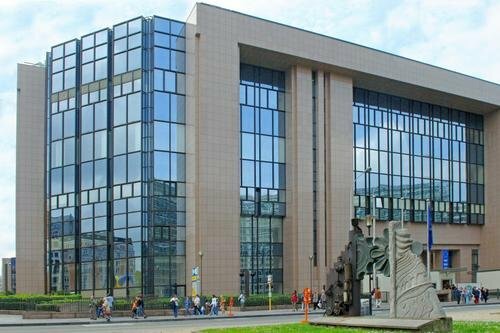 Council of the European Union, Brussels. The Council of the European Union (or the Council or the Council of Ministers) is the main decision making body in the EU. Unlike the Parliament that has a decision-making capacity in certain areas, the Council exercises its decision-making rights on virtually all EU legislation. The Council, as you shall see by clicking on the link below, represents member states governments at European level. Importantly, Council meetings also provide the forum for member states to cooperate at European level on common defence and foreign policy. Have a look at the following web page on the Council from the EU’s Europa website. Make sure to concentrate on the make up of the different council meetings. Will an Environment Council meeting be made up of the same individuals as a General Affairs or Foreign Affairs Council meeting? Who chairs EU meetings in the Council? Pay close attention to the roles that the Council undertakes. Look at the voting rights – how much voting power does Germany have compared to Malta for example? Can we compare European Institutions to national governing bodies? Who is the President of Europe?